What could add more visual appeal than pendant lights or track lights? How about the combination of the two, modern pendant track and monorail lighting! When theyre used effectively, homeowners can easily address energy efficiency issues. What makes pendant a track lighting lighting system so compelling? It's easy to mix and match visual accents and task lighting components. The implication is that any living or work area can be illuminated as desired. For example, the kitchen, above the breakfast bar or butcher block countertop. It also lends itself to the home office. As is the case with other home remodeling jobs, careful brainstorming and planning are the most critical steps. Before installing pendant lights, take a moment or two to survey the room in an unbiased manner. Does it call out for task lighting above a work station or a kitchen countertop? Do you have a wall dedicated to art work that needs accent lighting to show it off? One interesting strategy is called wall glazing. Its used to add a dramatic effect in rooms with vaulted ceilings. Its being used more and more in contemporary homes that feature trendy great rooms. I have heard it said that theyre a recent and sleeker version of those ornate chandeliers from yesteryear that only the well-to-do could afford. Straight run track. This is the traditional, simple layout that homeowners are getting away from, although its functional. Straight runs work well for task lighting in a work shop or garage. Monorail style. These rails can be bent and will conform to unique situations to provide the desired effect. Cross layout sectional. 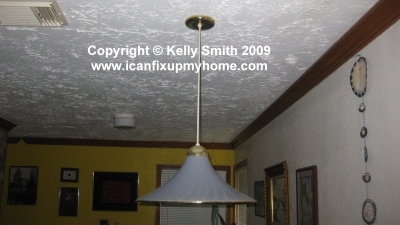 Use this configuration to spread light out evenly over larger ceiling spaces. T style track. This configuration offers a focused lighting configuration. Grid style. This is a track assembled in a grid configuration. Its handy when the need is to provide measured light pockets. 90 degree track using a flex connector. A 90 degree track is ideal for traveling up to the peak of a vaulted ceiling and then back down the other side. One of the advantages of pendant light fixtures is that they are extremely versatile. They can be suspended at almost any desired height. The lights vertical cable can be designed to stand out and make a statement, or to be more subdued. Remember to choose an appropriate light shade for the specific situation. For instance, colorful fabrics make for a homey-type mood, light-diffusing crystal glass appeals to a formal dining room, and stark metallic for a post-industrialist work area. Monorails are bendable and are perfect for adding custom lighting patterns. Monorails work just as well for either task lighting or accent illumination. These fixtures may be equipped with low-voltage bulbs. They use a power transformer to step the residential line voltage (120 volts) down to about 12 volts. Its true, monorail lighting systems are a fashionable design choice! A few of the decorative finish choices for the systems are chrome, antique bronze, brushed nickel, and rich gold. In addition to the rail itself, there are many fixture options to choose from. The fixtures may be aimed at almost any convenient angle. Also, the glass or metal fixtures and shades are available in a variety of different styles. These are available with descriptive names like Pod, Martini Glass, Spot, Pyramid, and the very cool Sportster (not to be confused by the Harley Davidson motorcycle model). Many homeowners opt to do the light installation themselves and put the money saved into the lights. But if you would prefer to have a local electrician or handyman do the work in question, I recommend Angies List – Find local consumer reviews on everything from painters and plumbers to electricians and carpenters. Join Angies List today.